This retreat is specifically for young adults, aged 18 to 28. It offers meditation instruction, sitting and walking meditation periods, facilitated discussion groups, meditative arts, and times of silence observed through the day. The atmosphere is warm, contemplative and joyful, supporting participants as they cultivate their inner wisdom and heart. Experienced teachers and assistants will support and guide the practices and activities. Financial assistance is available upon request. Transportation to the retreat centre may be available if needed. Jill Davey is the founder of RiverSound Retreat and Insight Meditation Fergus. She has been teaching Hatha Yoga and yogic meditation since 2003. 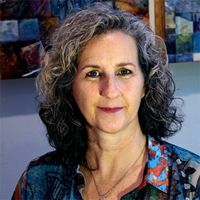 Since her first meditation retreat in 2008, Jill has devoted herself to the study and practice of Vipassana (Insight Meditation) and sharing her understanding with others, both at her Retreat Centre and at other centres in Ontario. She has been mentored by Molly Swan and Norman Feldman; her offerings include retreats, daylongs, and courses. She is skilled at connecting the relevance of these ancient teachings of awareness, wisdom and kindness to daily life experience. Jill brings her previous years of experience as a community worker and lay chaplain to her teaching. ARRIVAL TIME: 3:30-5:30 pm, Thursday, August 15. The retreat will conclude by lunch on Sunday, August 18. Everyone is welcome to stay for lunch.